This book is the second of two volumes, which represent leading themes of current research in automorphic forms and representation theory of reductive groups over local fields. Articles in this volume mainly represent global aspects of automorphic forms. 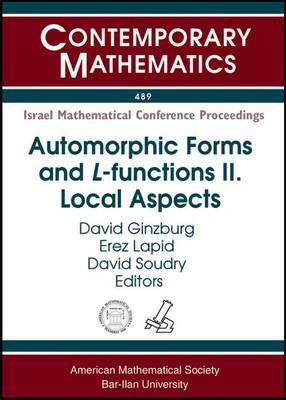 Among the topics are the trace formula; functoriality; representations of reductive groups over local fields; the relative trace formula and periods of automorphic forms; Rankin - Selberg convolutions and L-functions; and, p-adic L-functions. The articles are written by leading researchers in the field, and bring the reader, advanced graduate students and researchers alike, to the frontline of the vigorous research in these deep, vital topics. The companion volume (""Contemporary Mathematics, Volume 488"") is devoted to global aspects of automorphic forms.